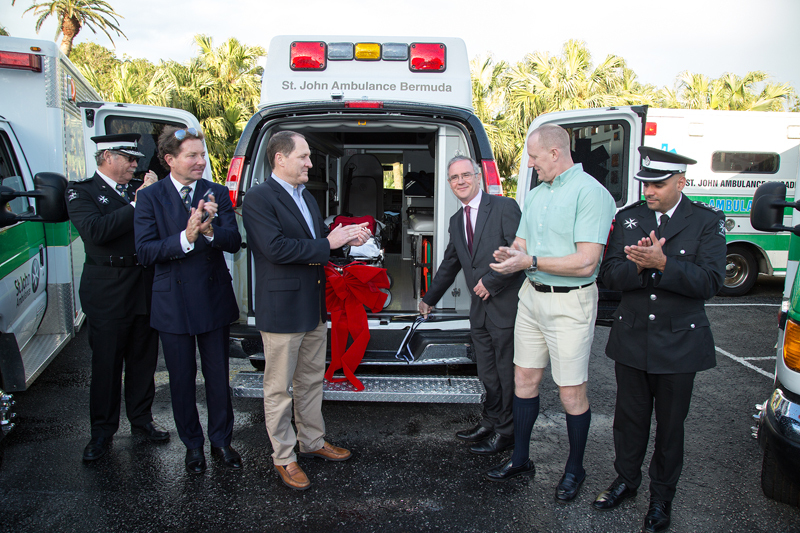 Marsh and Guy Carpenter have made a $10,000 donation to St. John Ambulance, a local charity that has been attending to the first aid needs of Bermudians since 1894. The funds helped purchase high-tech emergency equipment for a new ambulance, which was unveiled last night by Governor John Rankin at a ceremony at St. John Ambulance. “On behalf of St. John Ambulance, I would like to thank Marsh and Guy Carpenter for their generous contribution,” said Jeffrey Borges, Deputy Commissioner of St. John Ambulance. Governor Rankin meeting Lawrence Bird and Laura Norman from Marsh. “We are delighted that our donation has helped to put a new ambulance on the road and provide vital equipment that can be used at community events across the Island. 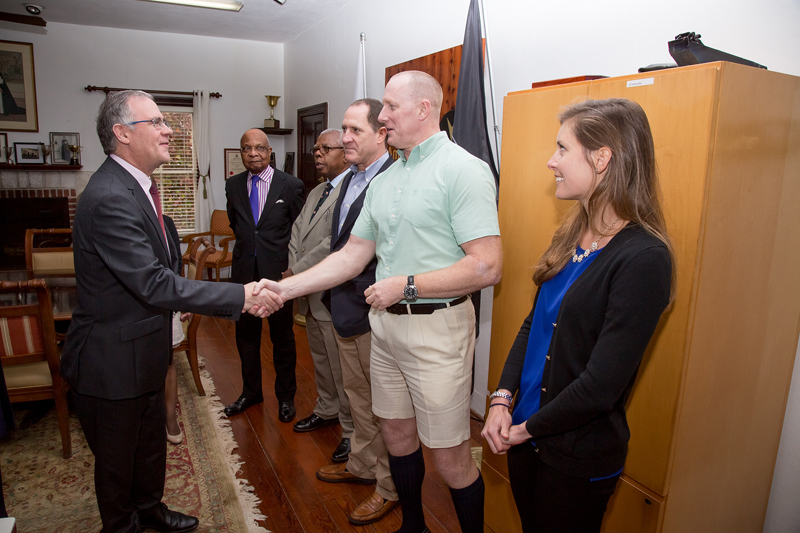 St. John Ambulance provides crucial first-aid support that can often save lives, and we are delighted to support this important charity,” said Jill Husbands, Country Corporate Officer of Marsh & McLennan Companies, Bermuda and Chairman of MMC’s Bermuda Corporate Social Responsibility Committee.